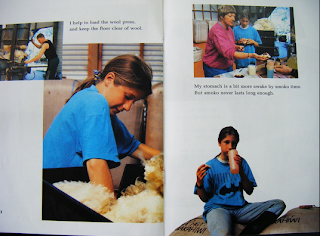 There is a girl named Rousie who lives in a Farm, and on October her dad brought a mob of sheep to get ready for them to be sheared. They have used the dads old horse Zhivago and the dogs to gather all the sheep in. Rousie has to wake up early at 6.00am and go to the shed to take the shorn fleeces from the stand and getting all the sheep together for the shearing since there are 15000 of them! Her job is to clear out all the wool off the floor for the shearers. Rousie worked all the way through till lunch, she drinks smoko then goes back to cleaning. At the end of the day it was time for the truck to load, and to let the sheeps out, and she watched the truck drive away. 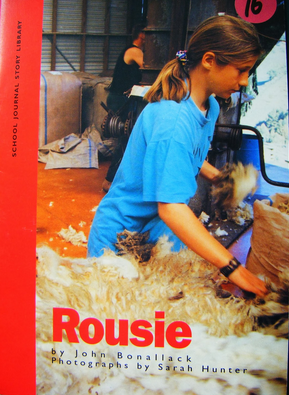 Rousie was proud and happy because the bales meant money to run the farm.